Over the course of his career in immigration, Austin T. Fragomen, Jr. has served as Staff Counsel to the US House of Representatives Subcommittee on Immigration, Citizenship and International Law. He also was an Adjunct Professor of Law at New York University School of Law. He has testified before Congress on a range of immigration issues, including usage of the L-1 visa category by multinational companies. He is also the founding co-author of a renowned series of immigration handbooks. The handbooks, published by Thomson Reuters/West, provide information on the best practices and latest developments in the field of business immigration. Mr. Fragomen attended Georgetown University and received his law degree from Case Western Reserve University. He is admitted to the Bars of the State of New York and the District of Columbia. He is also admitted to practice with the US Supreme Court of Appeals; the US Court of the District of Columbia; the US Court of Appeals, Second Circuit; the US Court of Appeals, Third Circuit; the US District Court, District of Columbia; and the US District Court, Southern District of New York. He is Chairman of the Board of Directors of the American Council on International Personnel; Chairman of the Practicing Law Institute’s Annual Immigration Institute; and a Member of the University Council at Case Western Reserve University. 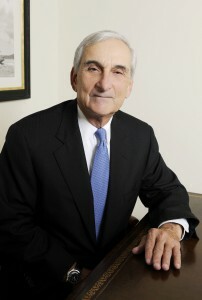 Mr. Fragomen is Chairman of the Executive Committee of Fragomen, Del Rey, Bernsen and Loewy, LLP.